Good. [ No Hassle 30 Day Returns ] [ Edition: Reprint ] Publisher: Grove Press Pub Date: 1/1/1994 Binding: Paperback Pages: 307. Fair. Condition Acceptable: Comment: Book is used and in acceptable condition. This may include heavy wear on cover and pages, highlighting/writing on pages, staining, and moisture damage (rippling/warping). All orders ship via FedEx SmartPost. Thank you for shopping with Goodwill Industries of the Inland Northwest-changing lives through the cycle for good. You think you've got it rough? Try getting separated from your family during a guerilla insurgency and spending decades living in the Bush of Ghosts. Or, imagine losing the only palm-wine tapster who can keep up with your appetite for drink. After which you pursue the dead tapster into--you guessed it--the Bush of Ghosts. 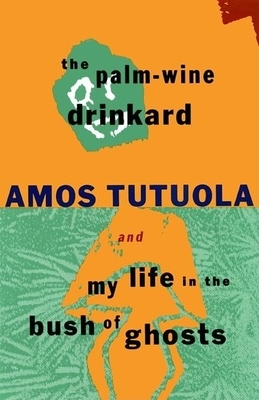 Amos Tutuola writes an English liberated from its crusty grammatical and stylistic moorings, and this pidgin cleverly recreates a rhythmic oral storytelling style. The tales are absolutely ridiculous and feature one outlandish creature after another, constant ju-ju battles, and unendurable miseries. "The Short Ghosts and Their Flash-Eyed Mother," "On the Queer Way to Homeward," and "Invisible Magnetic Missive Sent to Me from Home" are only a few of the treats contained herein.